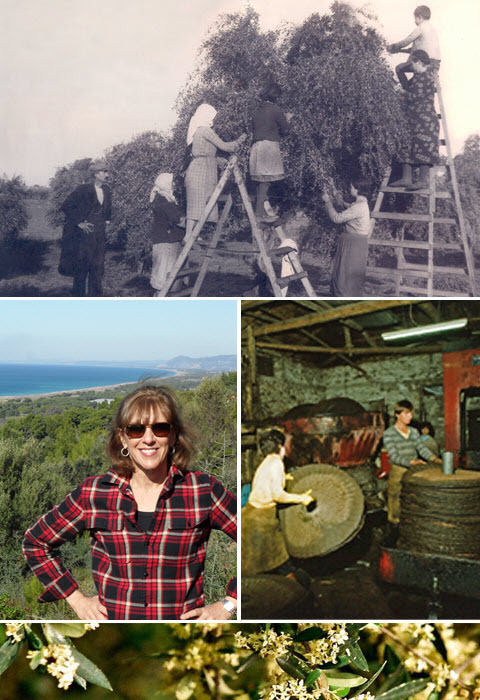 In mid-2012 The Olive Table launched its first product – Private Reserve Extra Virgin Olive Oil – imported directly from our family’s groves in Kyparissia, Greece. The company is based in Woodstock, Vermont, so we initially started selling to small specialty/gourmet shops primarily in Vermont and New Hampshire. Our olive oil proved so popular, we quickly found ourselves exploring new products and markets. In 2013 we expanded The Olive Table’s product line with the addition of single estate Organic Early Harvest EVOO and four varieties of Greek honey. Our supplier for the organic oil is our cousin, Spyros Kotsovolos, who works exclusively with The Olive Table to bring his oil to the United States. Spyros is proud of the oil he produces, which is acknowledged as among the best in Messenia, and wants the recognition that large buyers and farm co-ops can’t provide. Our honey is sourced from father and son beekeepers whose family has practiced the art of beekeeping for generations. They continue to pass the knowledge and tradition from one generation to the next. The Gionis family is so concerned with not disturbing their bees and affecting their honey production that they refuse to wear protection clothing. They believe this results in the beekeeper being more careful when handling the hives. They spend much of the year relocating their hives all over Greece to find the densest concentrations of one type of tree or flower, which results in honey with the purest flavor. As The Olive Table continues to grow, its focus will remain on providing the consumer with the freshest and highest quality specialty food products available from Greece.